As we age, some of our skin’s natural rejuvenating processes slow down, and this can lead to visible lines and wrinkles that can be especially noticeable on dry skin. If you have dry skin and have been looking for an effective, non-invasive resurfacing treatment to help resolve those tiny lines and wrinkles, consider hydradermabrasion treatments. The process is similar to microdermabrasion, with the additional step of infusing moisture and oxygen into your skin to hydrate and plump up dry skin, leaving you with smoother, younger looking skin and much less visible lines and wrinkles. Hydradermabrasion is a non-invasive technique for exfoliating without stripping the skin of moisture. The procedure is quick and virtually painless, and there’s no downtime. In most cases, you can put on your makeup and go about your day immediately after the treatment. It’s a three-step process. First, your esthetician will use a special tool with gentle suction that lifts and exfoliates your skin while infusing moisture. Another tool delivers oxygen steam to penetrate your skin. Finally, another special tool is used to infuse beneficial serums into your skin. Oxygen is a vital component of the treatment that helps stimulate collagen and cell replacement. It also has important anti-inflammatory and anti-bacterial properties, for healthy skin. The oxygen treatment, called oxygen mesotherapy, delivers active ingredients specifically designed for your skin type. The serums used in the final step are also individualized based on your skin’s needs. Your esthetician will design a hydradermabrasion treatment based on your individual needs and desired results. Most people see a visible difference on the first treatment, and your esthetician may recommend a series of treatments for your best results. 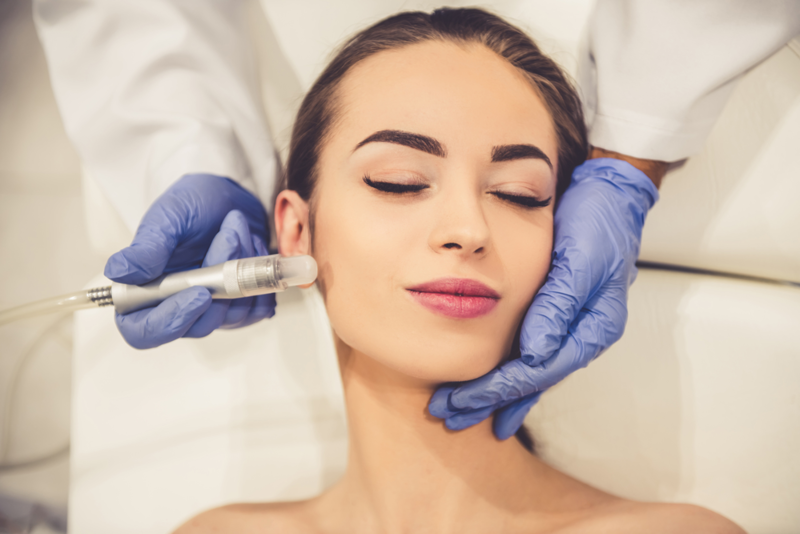 To try hydradermabrasion for yourself, make an appointment today at Helen’s Haven for a consultation with a professional esthetician, who can help determine if hydradermabrasion is the right treatment for your individual needs. You can find us at 4819 Ave., #6 in Honolulu, or give us a call at 808-739-0400. Prefer to instantly make your own appointment? Try our mobile app, available for a free download at the App Store, Google Play, and Amazon.